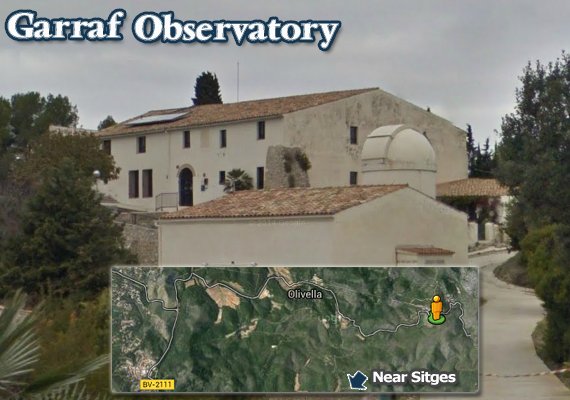 Garraf along the GR 92, passing/walking up large hills, passing the ‘ruin of Garraf’, outline of buildings and on to Sitges. There are few paths close to the sea/coast cliff edge and therefore no route. Turn left at the roundabout, just as the mountain road from Sitges ends, just before slip road leading to motorway/Barcelona. It audiovisual projects ‘El Garraf Natural Park’ (El Garraf. 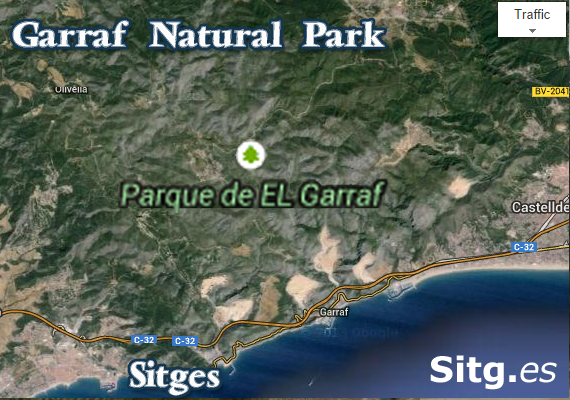 Parque Natural) , a tour of the Garraf Park with the wind as thread, which allows us to see the uniqueness of this protected area. 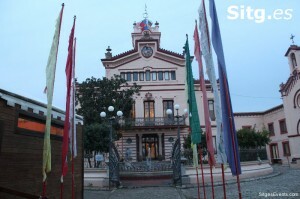 Also houses the permanent exhibition ‘Program seguiment i conservació of Bonelli àliga perdiguera or’ real-time images of the life of this bird obtained by camcorders. Audiovisual projections: weekdays and weekends at 10:30, 11:30, 12:30, 13:30 and 14 h.
Nature Park). Distance 1800 m; maximum altitude 280 m.
High level of difficulty throughout the circuit. around the Turó del Gall.